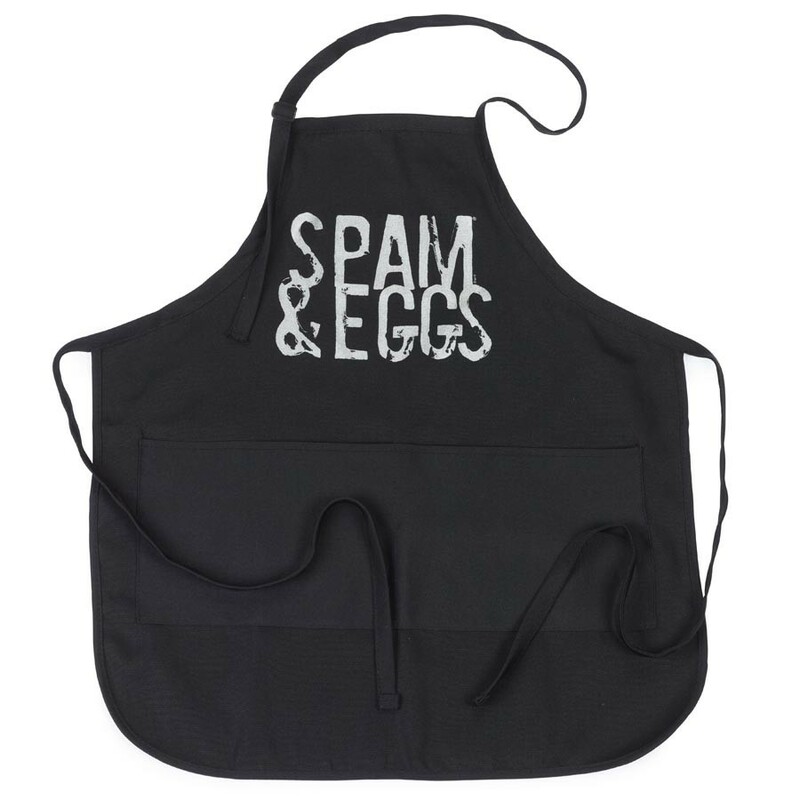 Black SPAM® & Eggs logoed apron. Adjustable straps to fit most any size. See matching pot holder G6010.